Is There An Ideal Health Insurance? Everyone without exception should have health insurance that will guarantee health or care costs when someone gets sick or has an accident. Moreover, although we have maintained good health, the disease can come unexpectedly. On the other hand, health costs continue to increase. Almost 70 percent of Indonesians are self-financed by doctors or hospitals. There are various reasons that make people are still reluctant to take out insurance services, among others for fear of deceived insurance agents, bother filed claims of treatment, as well as many who love out of funds to pay for insurance. According to Tri Djoko Santoso, a financial planner, health insurance is included in one of the efforts to protect themselves and also wealth. "There are so many diseases that can make a person poor because they spend their wealth," said Chairman of the Institute of Financial Planning Indonesia. Health insurance is owned is pure health insurance, not mixed with investment. It aims to obtain higher benefits. For example reimbursement of hospitalization costs or larger surgery. Tri Djoko added, an employee who has received health insurance from his office should keep protecting themselves with health insurance. "Insurance was no limit. Usually if one employee expenses too high due to critical illness, the next year the insurance company does not want that person to be included in the program, "he said. Choosing the right insurance product is not a trivial matter. It takes jelian and customer's precision because the purchase fund is not owned by anyone else, but yours. Any losses or risks of purchase misconduct are still borne by the buyer, not the other party. - It should be understood that insurance premiums are a cost, not an investment. In other words, our money will be lost if during the policy period we are healthy. - Ask the insurance agent for details on each item listed in the policy. 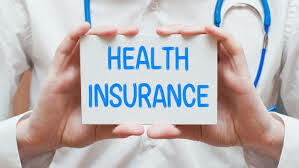 For example, conditions of exclusion of diseases that are not guaranteed, whether the insurance coverage includes outpatient services or only hospitalization? - Because of the cost, the prospective insurance buyer should ask a friend or person who felt more understanding about insurance. Not infrequently the explanation of the disease is written in English so it can cause a wrong meaning. - Also ask about the claim procedure. The faster and easier the claim process, the better kuliatas bureaucracy insurance companies concerned. That is why, note also the track record of insurance companies to be selected. - Convey honestly if you already have certain diseases before the policy is applied.